If you have an active child, finding a quality pair of kids’ running shoes is important for their comfort at school and home. The best running shoes for kids have flexibility for their growing feet, combined with cushion and responsiveness to maintain their speed. Not all youth running shoes are the same. Most will fall apart before your child can outgrow them, but some models have a sturdy construction with great stability and comfort features. We’ve reviewed the top-rated kids’ running shoes so that you can buy with confidence. Adidas is a trusted name in athletic footwear for people of all ages. The Adidas Performance Kanadia 7 TR K Trail Running Shoe is a smaller version of the adult men’s and women’s model with the same benefits. This budget-friendly shoe comes available in youth sizes from 4 to 12 years old. The nonmarking TRAXION rubber outsole has deep lugs with multidirectional grip. This provides great traction on any terrain. A 0.75” platform and a 1” heel give more boost and shock-absorption with every stride. With the trendy Adidas look, the Kanadia’s mesh upper has synthetic overlays to support the foot while promoting breathability. Available in color schemes that will match any boy or girl’s outfit, this shoe stands up to anything your active child throws at it. Although the lace-up feature is better for older children, the thick tongue and heel tab make it convenient to pull the shoe on before hitting the park. With a smooth fabric liner, your child’s foot will slide right into this comfortable and lightweight trail runner. A flexible midsole diffuses impact while supporting the foot. Although the midsole has excellent stability and bounceback, the best feature of the Kanadia is the Ortholite insole. A mainstay in the company’s adult footwear, this insole combines rubber and memory foam to absorb impact without losing its shape. The open-cell design allows the foot to breathe, with moisture-wicking technology to pull sweat away from the foot for odor control. The Ortholite insoles are removable so that you can wash them. The Adidas Performance Kanadia 7 TR K Trail Running Shoe runs narrow, so they are better for children with thinner feet. If your child has a wider foot, you should order a size up. There is little arch support, so grab a few gel insoles with ball of foot protection. 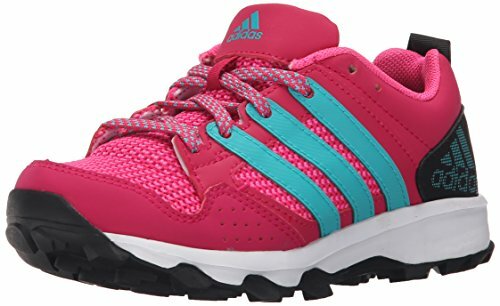 With several benefits and very few drawbacks, the features of the Adidas Performance Kanadia 7 TR K Trail Running Shoe make it our choice for the best running shoe for kids. Active adults love the NIKE Free Run because they are a lightweight and well-constructed running shoe. Now, with the NIKE Free Run for Big Kids, you and your older child can match footwear as you hit the streets. Available in youth sizes from 8 to 12 years old, the kids’ model comes in many options of solid colors or schemes for boys or girls. The breathable mesh upper has Flywire cables inside of the material for a secure fit. With a rounded heel for a natural stride, the Free Run’s rubber outsole has a tri-star pattern that splays outward with impact for even more shock absorption. This reduces the stress on the feet and joints during high-impact running or sprinting. The outsole contracts after push off, so your child won’t feel the difference in the bottoms of your shoes other than the extreme comfort during wear. In addition to the impact diffusion of the outsole, the Free Run’s midsole also has superior cushion, shock absorption, and bounceback for the most return during activity. As if all of this support wasn’t enough, the NIKE Free Runs have no break-in period. Your child will rip these shoes out of your hands to put them on and take off before you can catch up. Although the NIKE Free Run for Big Kids is one of the most expensive shoes on our list, they are well worth the price. They hold up extremely well, with very little quality or manufacturing issues. These shoes usually fall apart within a year of extremely rough use, but they will last forever if your child only wears them for running or play activities. Free Runs do run narrow, so you may have to order a size up if your child has wider feet. The lace-up design directly mimics the adult model, but the laces are too short for double-knotting. Purchasing a pair of longer laces would be better since they have more room to make a more secure knot. 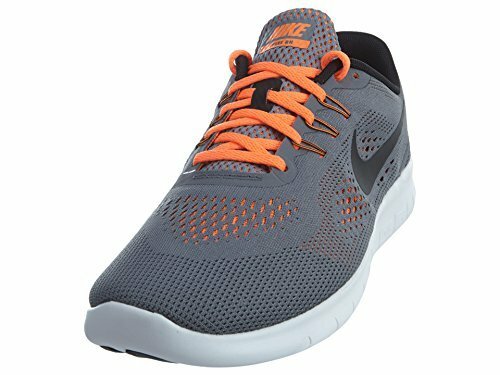 If you are looking for a well-made, comfortable running shoe with excellent arch support that offers excellent foot stability for your active son or daughter, one of the best purchases you can make is the NIKE Free Run for Big Kids. 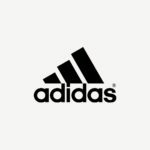 If your child is involved in track or cross-country, then you’ll want to invest in a pair of Adidas Performance Hyperfast 2.0K Running Shoes. Available in youth sizes from 4-12 years, the Performance Hyperfast comes in a variety of color schemes to suit both boys and girls. This shoe ranges from budget-friendly to moderately-priced, depending on the size and design. With a mesh and knit upper to promote breathability, the shoe’s synthetic overlays create more protection for the foot. The overlays create the trademark Adidas 3-stripe panel across the midfoot, a heel cage, and a toe bumper that contrasts against the color of the mesh for a stylish look. The non-marking rubber outsole has amazing traction for running on all types of terrain. A supportive midsole has bounceback and shock-absorption for a smooth ride. Featuring the Ortholite insole, the Hyperfast diffuses impact with every strike. The rubber and memory foam breathe well, and the insole is removable for washing. With the moisture-wicking technology to pull sweat away from the foot, you’ll want to wash it every so often. Although the upper will start to wear down within a year, your child may outgrow the shoe before then. The Hyperfast run large and wide, so they are great for children with wide feet. However, the recent re-design made the shoe narrower, so it has a tighter fit for thicker feet. The Ortholite insole has great cushion but very little arch support, so these shoes are not for children with high arches. The only design flaw in the shoe is that they are lace-up shoes which may come untied, leading to tripping and falling while in motion. The lace hooks are also textile, so they snap easily. 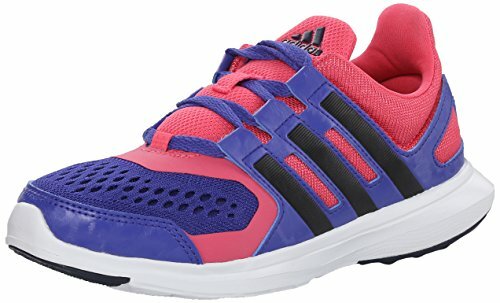 Although a Velcro strap would have been much better, the Adidas Performance Hyperfast 2.0K Running Shoe is an excellent fitness shoe for the most active children. New Balance has brought its attention to detail to its line of children’s athletic shoes. The New Balance Kids’ 680 V3 Running Sneaker has comfort and support where your child needs it. This shoe comes in youth sizes for 4 to 12-year-olds, in a variety of gender-specific color schemes. A mesh upper with synthetic overlays features the New Balance logo and perforated holes to help the feet breathe. The rubber outsole has impressive traction for any schoolyard, park, or gymnasium. Designed for long-distance running, the 680 V3 has an ABZORB midsole for stability, cushion, and bounceback. The combination of rubber and memory foam is concentrated at the heel and the forefoot, absorbing impact with every stride. Despite the comfort and support, the shoe runs narrow with a tight toe box. There is little arch support, so ordering a size higher than your child wears typically would fit wide feet. These shoes do not last for much longer than a year, because the stitching along the upper begins to unravel. Although the Velcro straps are more ideal for a kid’s shoe, they do not help the tongue remain in place. It can slide around, irritating the top of the foot. 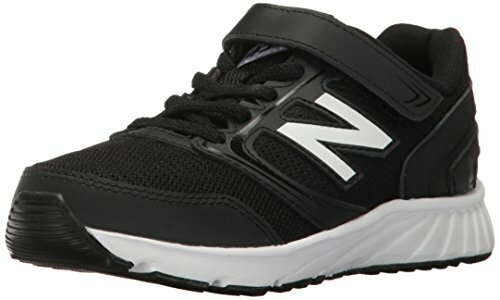 The New Balance Kids’ 680 V3 Running Sneaker is moderately-priced, so you can protect your investment by making them just an activity shoe. Selecting another shoe for everyday wear will help these shoes last much longer. If you are an active adult, then you are familiar with Under Armour products. The company manufactures quality fitness footwear and accessories for any sport. If you own a pair of Under Armour shoes, then you know that they are supportive and breathable shoes ideal for multiple activities. Why shouldn’t your children reap those benefits, too? The Under Armour Kids Grade School Micro G Assert 6 Sneaker is available in youth sizes in a variety of colors. The mesh upper has leather overlays along the toes, midfoot, and heel for all-around protection. Unique among the shoes on this list, the Micro G Assert has a double-layered upper with a thin layer of foam between them. This makes the shoe more comfortable for all-day wear, and it is harder to puncture. 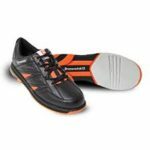 The rubber outsole has traction along high-impact areas, like the ball of the foot and the heel. A shock-absorbent midsole has great energy return, so your children will call these their “fast” shoes. The Micro G foam insole has anti-odor technology, guarding against smelly feet and shoes. This well-built, durable shoe has no break-in period, so your child can wear them comfortably right out of the box. Unfortunately, the odor-resistant insole is not removable, so you can’t replace it with another insole or orthotic. The Micro G runs small and narrow with a tight toe box, so it is better for kids with smaller feet. Lace-up design makes for a better fit, but this is better for older children who know how to tie their shoes. There have been some quality complaints that the specific traction pattern peels off the bottom of the insole with excessive use, but these reports are relatively minor. The shoe’s price point is not consistent, ranging from moderate to expensive depending on the size and color. 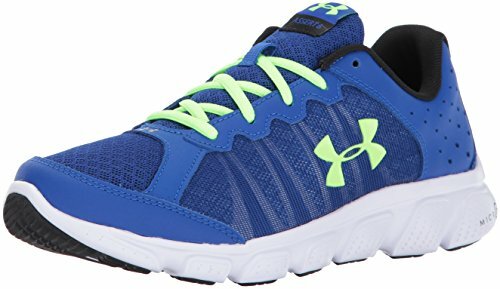 Overall, the Under Armour Kids Grade School Micro G Assert 6 Sneaker is an excellent investment for your active child, with the protection and durability that the company puts into every pair of running shoes. Parents love buying their children NIKE running shoes because they have great support and they last a long time. 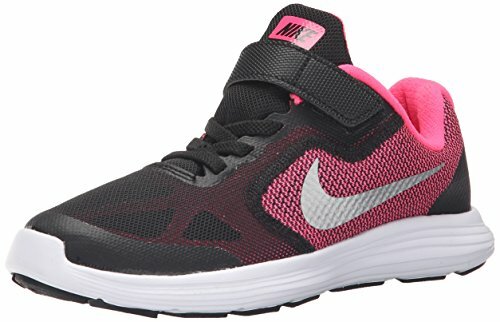 The NIKE Kids’ Revolution 3 Running Shoes are a breathable and lightweight kids’ running shoe that is worth the moderate price tag. They come in several color designs for boys and girls that range from 4 to 12 years old. The most interesting feature is the no-sew mesh upper with supportive overlays. This design prevents the unraveling common in athletic shoes in both adult and youth sizes. The Revolution has a lace-up design for appearances, with the real security coming from the Velcro strap across the midfoot. With a durable rubber outsole, this shoe has traction patterns along the forefoot and the heel for great grip in multiple environments. The NIKE Revolution has a lightweight foam midsole with flex grooves to support your child’s natural gait. With this support and stability, the shoe helps keep your child’s feet in alignment without the risk of foot or ankle injuries. Although the Revolution is for children with all feet sizes, this model runs small and narrow with a tight toe box. If your child has a flatter, wider foot, you might want to shop around for another shoe. With only the Velcro strap, the tongue doesn’t stay in place, and it can slide around the foot. Although the NIKE Revolution holds up well, it isn’t indestructible. The mesh usually separates from the upper and the Velcro strap breaks within six months of extensive use. Reports of these manufacturing issues are relatively minor, making the NIKE Kids’ Revolution 3 Running Shoe a solid investment. For a flexible running shoe that comes in multiple colors, you can never go wrong with New Balance. 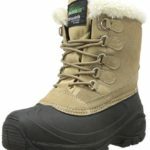 The company built its name on providing stylish, durable, and comfortable footwear for people of all activity levels. 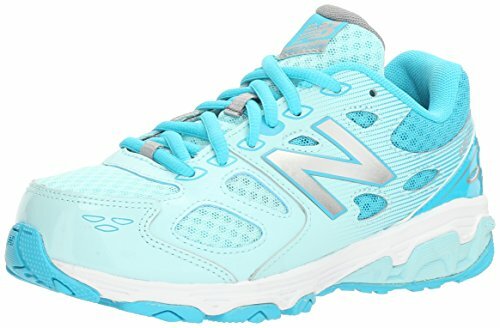 The budget-friendly New Balance Kids’ 455 Running Shoe is a comfortable athletic shoe for daily wear or fitness use. A synthetic rubber outsole has a traction pattern across the whole bottom of the shoe, instead of only under the high-impact areas in the forefoot and heel. The best feature of the New Balance Kids’ 455 Running Shoe is the strength of the midsole. An injection-molded EVA memory foam insole has more support and bounceback than the traditional compression-molded midsole. The superior midfoot support works well for toe walkers, giving them the extra cushion that they need for the additional stress on their feet. There is little arch support in the shoe, but the removable cushioned insoles easily slide out for a custom insole or an orthotic. Although the New Balance 455’s run large and come in wide sizes, there are no half sizes in this model. If your child runs between sizes, you should order the next size up from their regular size. This shoe comes in smaller youth sizes, but there is no Velcro strap. The New Balance 455’s lace-up design is better for older children, but the laces themselves are poor quality. They fray easily, so invest in some quality laces. The shoe itself holds up well, but they tend to fall apart within a year of constant wear. This model will last much longer if you make them only activity shoes. If you are looking for a decent running shoe for your child, take advantage of the lower price point on the New Balance Kids’ 455. The injection-molded midsole usually appears in shoes that are more expensive, and this feature is one of the main reasons you should buy them. When you are shopping for shoes for your little adventurer, you can’t go wrong with ASICS. 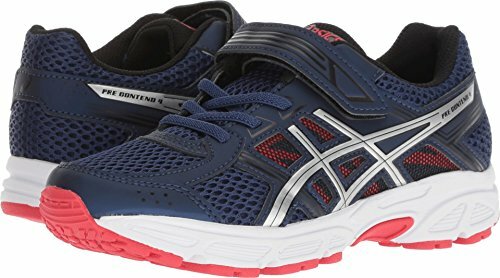 Although most youth running shoes come in sizes for little kids and big kids, the ASICS Kids’ Pre-Contend 4 PS Running Shoe’s design is best for toddlers. With the traditional look of ASICS running shoes, this shoe has a rubber outsole with excellent traction on any playground. The hook-and-loop Velcro safety strap crosses the forefoot for security and stability. Toddlers are highly active, and they need a shoe that won’t fall apart before they outgrow them. The Pre-Contend has a removable insole for a custom orthotic, accommodating the needs of your little one’s delicate feet. The included insole supports the whole foot, even the arches. The upper has a thick bumper to protect their toes from sprains and breaks as they take on the world. The contoured heel doesn’t dig into the skin, making the shoe much more comfortable for all-day wear. Although these shoes last, the fake laces across the forefoot are just for show. They can break with rough handling, so make sure to put your child’s shoes on with care. The Pre-Contends run narrow, so you may need to go a size up if your little one has a thicker foot. The toe bumper comes off with extended use, but this doesn’t ruin the shoe. Chances are, your baby’s feet will grow out of these shoes and need a larger size before this happens. The moderately-priced ASICS Kids’ Pre-Contend 4 Ps is a well-made and comfortable running shoe for an active toddler. When shopping for running shoes for your children, it is important to find a pair with the features they require for their activities. 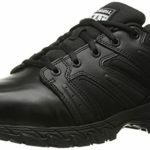 If you want a basic running shoe for everyday wear, a shoe with shock-absorption, comfort, and a durable build is ideal. If your child is involved in running sports, purchasing a shoe with flexibility and stability features is also important. Depending on your child’s needs, any of the shoes on this list would be a comfortable, long-lasting shoe. Our choice for the best running shoe for kids is the Adidas Performance Kanadia 7 TR K Trail Running Shoe. Much like the adult version, this shoe has enough durability for any activity with the protection, strength, and comfort found in any Adidas model.